Apartment HAUS-SCHRAGL in the Nationalparc Hohe Tauern - hausschragls Webseite! 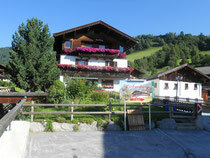 Haus-Schragl is located in the " Natinal parc-village UTTENDORF ", close to Zell am See and Kaprun. We rent a apartment in the complete first floor ( 105 m2 ), the flat is ideal for 2 - 5 persons, for families with 2 - 4 children. full equiped kitchen ( dish washer ) with dining table, living room , cable TV and Internet. 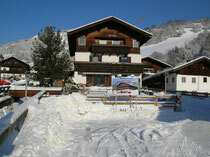 Haus - Schragl is full south-faced and located in the upper part of the village, close to shops and restaurants .